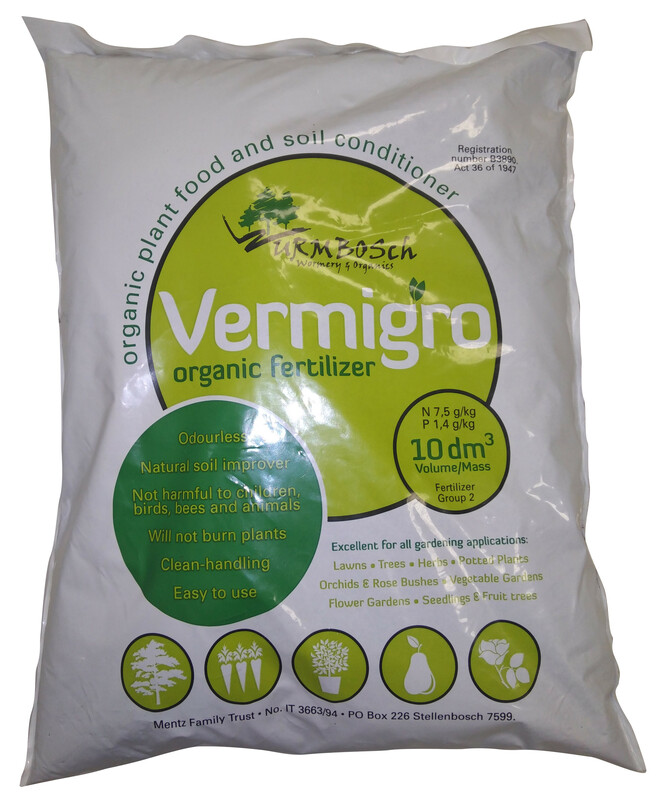 Wurmbosch Vermigro 10dm3 Fertilizer is 100% oganic Plant food. 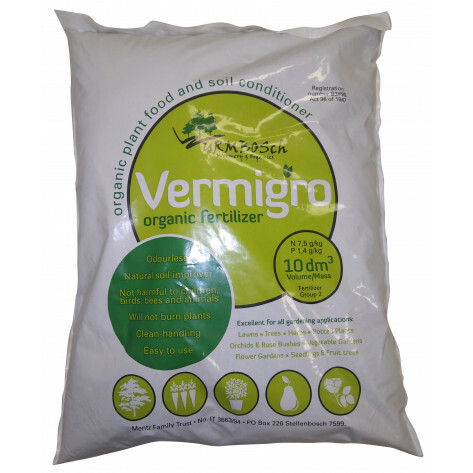 Wurmbosch Vermigro 10dm3 Fertilizer is 100% organic Plant food. This Fertilizer is produced from green garden waste material that earthworms, through their unique digestive system, have converted into castings which are rich in micro-organisms. Vermigros 100% organic composition ensures that it is perfect for Delicate plants, seedlings and cuttings. Seedlings and Bulbs - Make a hole in the ground, place 1 heaped tablespoon (40-50ml) Vermigro Fertilizers in the hole and plant seeling or bulb directly into it. Potting Mix - Enrich your standard potting medium with one-third of this vermigro bag. Planting Trees - Make a suitable hole, mix 1 to 2 kg Vermigro fertilizer (Depending on size of hole) with two-thirds of the top of the soil dug from the hole, feed as above.